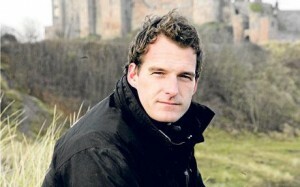 The TV historian talks about his new BBC Four series, How the Celts Saved Britain. The 30-year-old historian certainly makes a compelling case on behalf of the early medieval period (400-800AD), the curiously overlooked era in British history which is the focus of his new two-part BBC Four documentary, How the Celts Saved Britain. Indeed, as Snow holds forth with voluble enthusiasm on the subject, it’s easy to hear an echo of his father, the journalist, broadcaster and master of the swingometer, Peter. So what did the Celts do for us? Even the term “Celt”, as Snow concedes, can be a vague, emotive term. For Snow’s purposes, however, the Celts are the people primarily living in Ireland who came to Britain to evangelise and to trade, and who by so doing gave (what was to become) the UK a common language, a longer life expectancy and, in essence, the beginnings of what we would now call civilisation. As he researched and filmed the programmes Snow visited several places that he’d first discovered as a child. “My dad was born in Dublin,” he says, “so in a way I’m a kind of Celt myself.” But there was more to those trips than simply revisiting beautiful locations such as Lindisfarne and Iona. Snow says that the TV documentary-maker’s hands-on approach to history – go there, see for yourself – made him reflect on the way history is being taught in schools. And if there’s one thing Snow hopes his films will change it’s Britain’s common misconception about Ireland.